I’ve started a new IBM Redbook residency this week. A bit different to those that I’ve previously worked on, as work and family commitments don’t allow for travel. So I’ll be working remotely, and part-time, from Australia while the rest of the team are in Mainz, Germany. 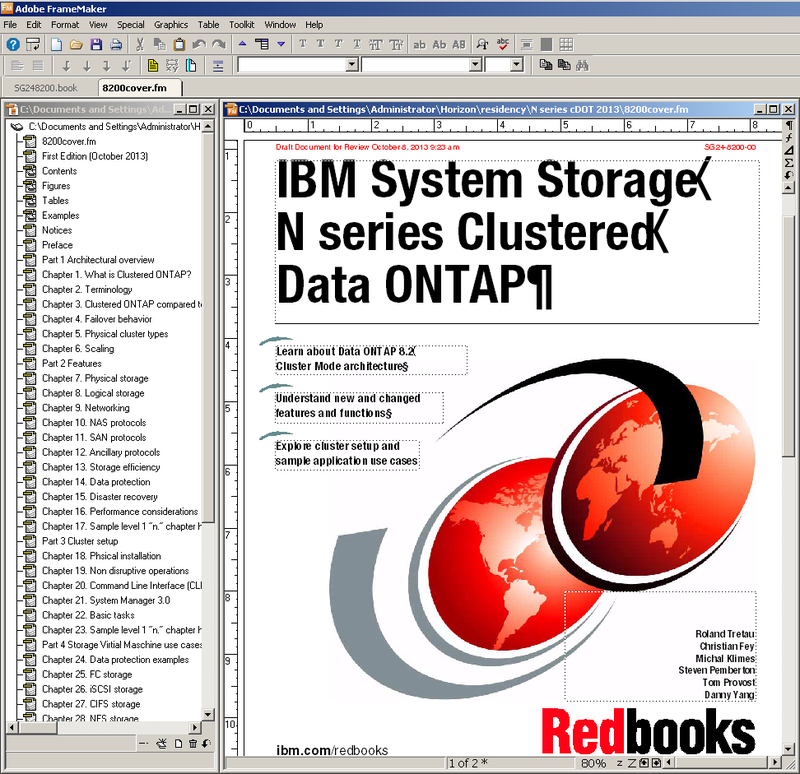 The aim is to produce a new Redbook on IBM N Series Clustered Data ONTAP (cDOT), and to update the existing N Series hardware and software guides. I was also on the team that produced the previous update to the N Series hardware and software guides. I’d describe myself as very experienced with Data ONTAP 7 (or DOT 8 in 7-mode). I was first NCDA certified in 2005, and have since collected an embarrassing array of NetApp certs. I also worked at NetApp as a technical instructor, and wrote the original NCDA certification study guide. But so far my experience with Clustered mode has been minimal. For me, this is a great opportunity to keep my technical skills current, whilst contributing my experience and new knowledge back to the book. I’ll update this post over the next few weeks to document my experiences. The first week was spent in a Clustered ONTAP 8.2 Administration course, to get us all up to speed with the new features. The course was presented via WebEx in a “virtual live” format. 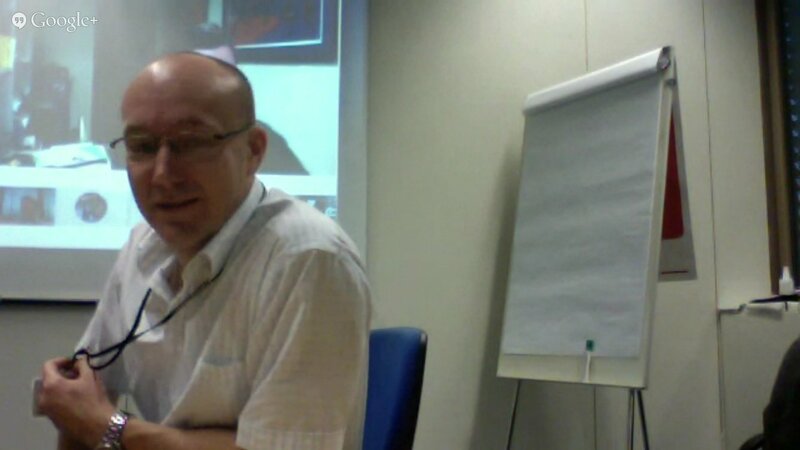 The WebEx format worked well, with a very knowledgeable instructor, and plenty of opportunity to ask questions. The gotcha for me, is that the course was scheduled for Central European time, since that’s where the rest of the residents are located. That’s 5pm-1am here in Melbourne, Australia. With my day job, and family too, this made for a _very_ long week. My first impressions of cDOT are very positive, with much of the traditional ONTAP goodness still familiar, though enhanced in many ways. At the same time, the change from Active/Active ‘Clustered’ controllers, to a scalable cluster that is built from ‘HA Pairs’ has altered the behaviour of many features. 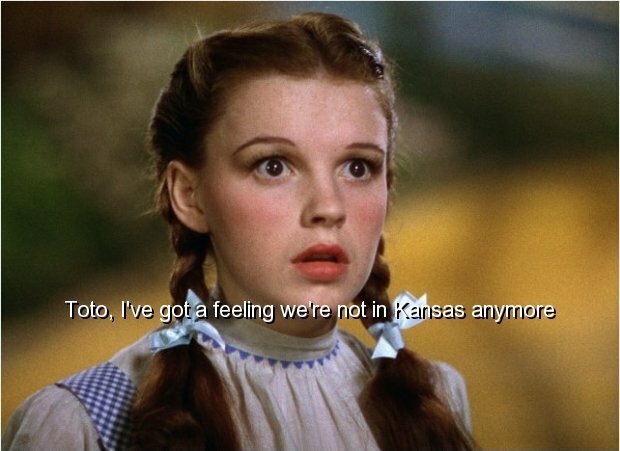 I felt a bit like a wide-eyed Dorothy in the Wizard of Oz – we’re not in Kansas anymore! Clustered ‘HA Pairs’ replace the traditional dual Active/Active controller design. Fail-over within a HA Pair is improved by using Storage Fail Over (SFO) instead of Cluster Fail Over (CFO). Different resource types, such as aggregates, volumes, and network ports & interfaces, are now bound either to physical nodes, vservers, or are cluster-wide. Vservers, otherwise known as Storage Virtual Machines (SVM), replace the vfiler Multistore feature. Whereas a 7-mode Virtual Interface (VIF) is bound to a physical node, its replacement, a Logical Interface (LIF), is bound to a logical vserver (cluster-wide). Some features from 7-mode are not available, but may be expected in future versions. (e.g. SnapLock, MetroCluster, SyncMirror, etc). It’s only the start of the week, but here’s a screen shot of the kick-off meeting. We used Google Hangouts as a good way for the team to ‘meet’. My fellow residents are (from left to right): Christian Fey, Danny Yang, Michal Klimes, Roland Tretau (leader, main screen), myself, and Tom Provost. This meeting was a brain storming session to create a draft Table of Contents for the book, main parts, chapter topics, etc. Once the ToC is agreed we’ll assign different chapters to each team member to complete. I’m going to start on the updates to the existing H/W guide and 7-mode S/W guide. This is a good fit for working remotely as it’s separate from the Cluster mode book, though there will be common sections that should be easy to adapt. Once I’ve finished updating the existing books I’ll rejoin the rest of the team. All Redbooks are developed in Adobe FrameMaker, so one of the first tasks for any resident is to install the FM software and the ITSO custom toolkit. The ITSO have developed an applet called QAM (Quick Access Menu) that automates many book creation tasks. This also ensures that the authors, who are often new to FrameMaker, always follow the ITSO style. By the end of the week I’ve merged the contents of both the h/w and s/w guides into the new book files, and have started reviewing new material for inclusion. The main challenge so far hasn’t been working remotely, but in trying to find time to work on the book part-time. I’m still doing my day job too, and anyone who’s worked at IBM knows that already requires 100% effort!